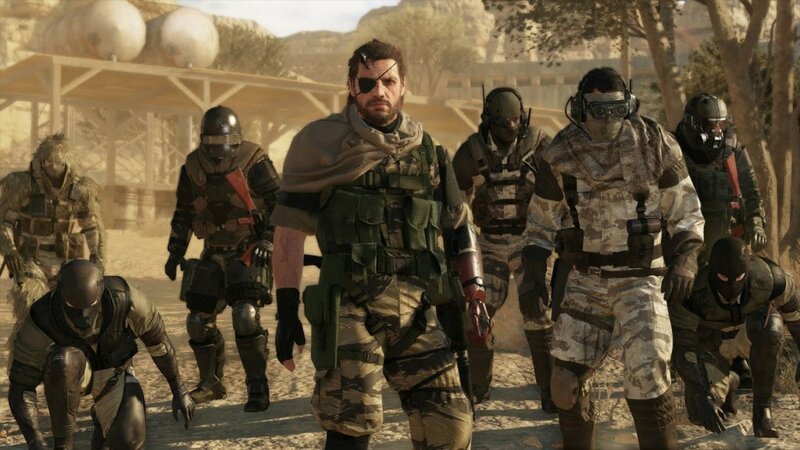 The highly anticipated Metal Gear Solid 5: Phantom Pain has finally been released, but just like all the big name releases of present times, it wasn’t a flawless, error and problem free launch. Fortunately, it’s not a lot of people who are affected by launch problems, crashes of the MGS5 black screen, but those who are affected surely want to know if there is a way to fix them and enjoy the title problem-free. We are here to try and help you achieve that, so let’s check out below how to fix Metal Gear Solid 5: Phantom Pain crashes, freezes and other problems. First of all, before trying any of the fixes, do the usual regular check-up before trying to run any game: make sure that your system meets the minimum requirements for running the game. If you’re playing Metal Gear Solid 5 having the minimum or close to minimum specifications, lower the graphics settings to a minimum (you can’t expect to run a game on ultra high if you don’t meet the requirements). Even if you do meet the recommended requirements, try to lower the settings a bit and see if things improve – this should work especially for low frame rate issues, freezing and laggy gameplay. Next, make sure that you have the latest drivers installed: reinstall them if you have any doubts, but don’t limit it to the visual drivers only. Sound drivers, display drivers and everything else should be checked as well. Perform a clean install of the game or at least verify its integrity in Steam to make sure that all the files were installed. Apparently, people who are running on a Phenom II processor are currently unable to play the game (as the developers themselves reported). They are working hard on delivering a fix, but until then there doesn’t seem to be much you can do. Some users who were getting a black screen reported that changing the resolution (increasing it) solved the problem – so it’s definitely worth trying this! If the game installed correctly (check the integrity in Steam) and you are using an overclocked card, this might be the problem: reset it to factory settings and the game should run for you! Some users on the Steam forums have reported that turning off Motion Blur and Camera shake stopped the random crashes they were getting. Some gamers managed to fix this problem (but especially freezing and low performance) by unplugging any USB controllers they had plugged in. This means that you have a missing Microsoft Visual Studio redistributable file. This is easily fixed by installing the program for free from Microsoft’s official website. You can download the problem here and you’ll fix the missing file error. We’ll have an in-depth tutorial on this later on, but you might get it right from this quick one as well: go to your Steam install folder and double click the userdata folder. Go to the MGS 5 install folder (usually appearing as 287700 in userdata) and find the file TPP_GRAPHICS_CONFIG into the local folder. Open it with notepad and find the following line: framerate_control: Auto (you can search by pressing CTRL and F and type “framerate_control”). Set the “Auto” string to Variable and you’ve removed the 60 FPS limit! Don’t forget to save the file, though! Unfortunately, at the moment, there is no option to change the default FOV in the game, but as soon as we find a fix or a hotfix is released, we’ll let you know. This would be all that we have right now in terms of crash fixes for Metal Gear Solid V: Phantom Pain. If you have other problems – or especially other fixes to these problems – please let us know by commenting below. Previous articleStreet Fighter V: Who Could Be Left?